Eternal Summer Rule! Photo Courtesy of the Band. 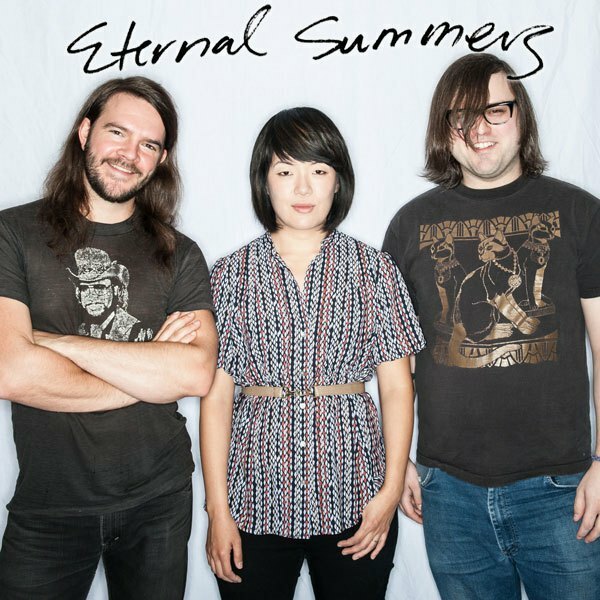 This week’s Listening Party features band Eternal Summers! Listening Party is a curated weekly column promoting music discovery and encouraging concert-going. Featuring someone we’ve been jamming out to and we recommend to the masses, each Listening Party artist has an upcoming show at a local NYC venue. Grab your headphones and read on. This trio is here to turn your frown upside down. With pop hooks and a garage disposition, their guitar melodies will have you swaying and sweet, airy vocals will have you drifting into daydreams. Their sound is reminiscent of summertime and all the tingly, warm, wonderful vibes that come along with our favorite season. While they channel the fierce, insistent vocals of someone akin to Best Coast on the crystal clear "Millions," their buzzing guitars bring to mind the modern indie tendencies of a band like Diiv. They also indulge in a twangy, garage feel on most of the rest of the album that just feels good. They're pretty much great, and lucky for all of us, they'll be in Brooklyn this Sunday night, headlining the Kanine Records Holiday Party. Come earlier to see the excellent UK-based Splashh.